Welcome to the website of the New York State Society of the Cincinnati. The New York State Society was formed on June 9, 1783 to keep alive the spirit and principles of the American Revolution, to do special honor to the memory of George Washington, to perpetuate among its members the friendships first established by his original Line officers, and to assist those members who may be in need. These principles are what drive the educational and charitable activities of the New York State Society today. To this day the members of the New York State Society of the Cincinnati, descendants of those Revolutionary War officers, meet annually at the Verplanck homestead,which was the headquarters of Baron Von Steuben in the Revolution and which overlooks the Hudson River in Beacon, New York. It is now known as The Mount Gulian historic site and looks very much as it did in 1783. There you will find the Cincinnati Gallery, dedicated to the New York State Society, with displays, artifacts, and documents illustrating the founding and activities of the Society during its continuous existence since 1783. We welcome your interest in our unique Society and invite you to learn more about us. Please use this website for research into the American Revolution, the New York State Society and as a resource for links to more genealogical and historical sources. We encourage you to contact us at Info@nycincinnati.org for any questions, input or suggestions you may have. 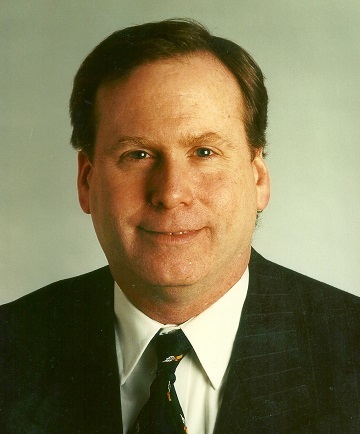 John O'Malley, 37th President of the New York State Society of the Cincinnati.